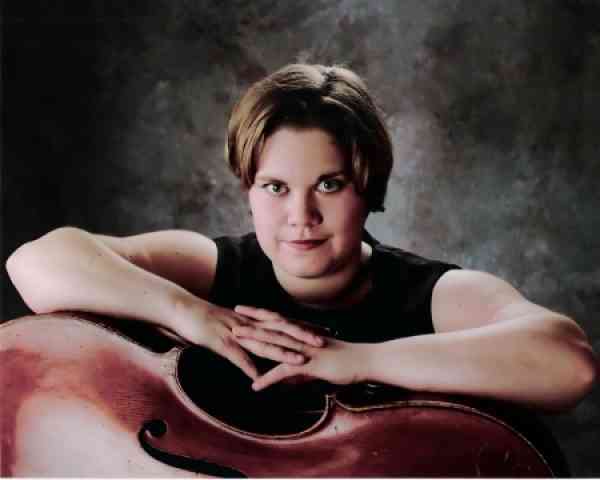 Sandra Halleran, cellist, is originally from Rochester, New York. Currently, she is an active freelance musician and cello teacher in the Rochester area. She teaches traditional and Suzuki cello lessons and classes. She has been teaching Suzuki cello lessons since 2004, when she started her Suzuki training. Ms. Halleran has previously held teaching positions at the Hochstein School of Music, Nazareth College, the Eastman School of Music, The University of Akron, and The Community Arts Program at the Coral Gables Congregational Church in Miami, FL. As a performer, Ms. Halleran has held principle cello positions with the New World Symphony in Miami Beach, FL, the Wheeling Symphony in West Virginia, the Spoleto Festival Orchestra in Charleston, SC, and the Gregory Kunde Chorale in Rochester, NY. She has also performed with the Rochester Philharmonic Orchestra, the Cayuga Chamber Orchestra, the National Ballet of Canada, the Rochester Broadway Theater League, The Rochester Oratorio Society, and the Greater Rochester Women’s Philharmonic. Ms. Halleran received her Master’s Degree from the Eastman School of Music in 2002, where she studied with Steve Doane, Rosemary Elliot, and Kathleen Murphy Kemp. She was also a student in the Orchestral Studies Diploma Program at Eastman. In addition to her master’s degree, Ms. Halleran holds a bachelor’s degree from Rice University, where she studied with Paul Katz and Desmond Hoebig. Ms. Halleran studied additionally with Richard Weiss and Steven Geber, Ingrid Bock, and Carter Brey. Ms. Halleran completed Suzuki training with Pam Devenport, Carey Cheney, Ann Grabe, and Annette Costanzi.